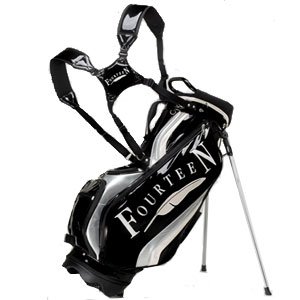 Premium Fourteen Golf stand bag. The perfect bag for walking or riding weighing in at 7.9lbs and features sturdy legs for any terrain. Backpack straps for comfort while carrying. The premium patent like finish sets this bag apart from the rest.